It is common knowledge that the Brits love their tea, but it is less common knowledge how this love affair all began. 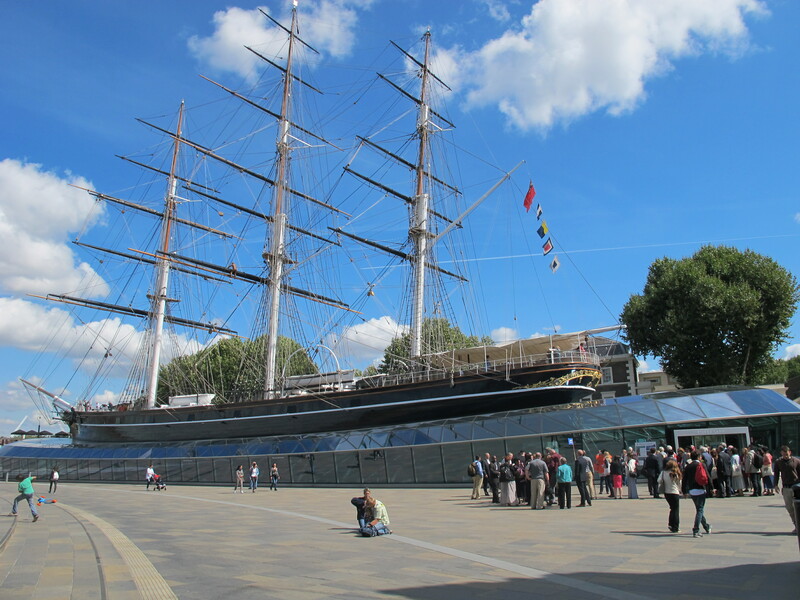 If you are looking for a fun way to explore that history, you should try visiting the good ship Cutty Sark near the waterfront in Greenwich. The ship itself wasn’t built until 1869, but tea first came to the UK two centuries earlier. Here is a timeline from the Cutty Sark’s exhibits. 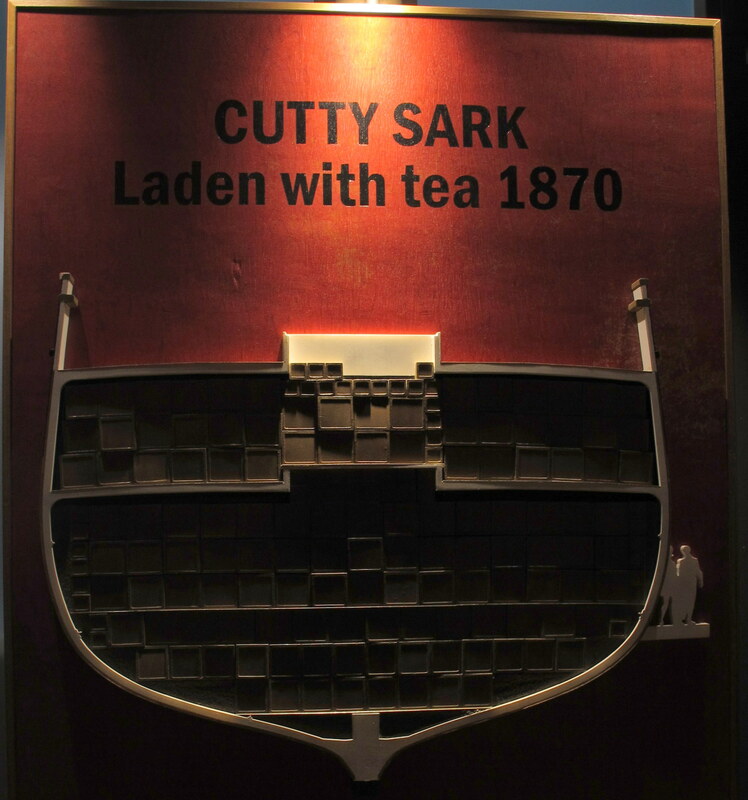 In its heyday, The Cutty Sark was one of the most impressive vessels on the sea, and especially well-suited for transporting tea. The copper hull was not only beautiful, but was especially good at keeping sea water out of the cargo hold. It also had an amazing carrying capacity and was one of the fastest ships on the water. In fact, it engaged in a historic race in 1872 against another transport called The Thermopylae. Both ships left Shanghai at the same time, and the Cutty Sark took an early lead. Unfortunately, she lost her rudder and had to stop for repairs. The Thermopylae ended up making it to England a full week before The Cutty Sark. This was the only time that both ships left from the same port at the same time, but the Cutty Sark later set a record for reaching Sydney in just 73 days. I loved visiting the exhibits on the inside, especially the first floor where the interior and the displays were made out of tea crates. There is another gallery the next floor up that has interactive features and videos to help you get into the mindset of a sailor on the ship over its long history. I was also lucky enough to have the perfect weather to explore the deck, which has been restored to its former and shiny glory. A display of what it would have looked like along the docks. You get to check out the underside of the ship as well. This entry was posted on September 5, 2014 by Phoebe Darqueling. It was filed under History, Museums and Exhibitions, Steam Tour, The City of London, Travel and was tagged with Cutty Sark, History, Ship, Shipping, steam punk, Steampunk, Tea, Victorian era.